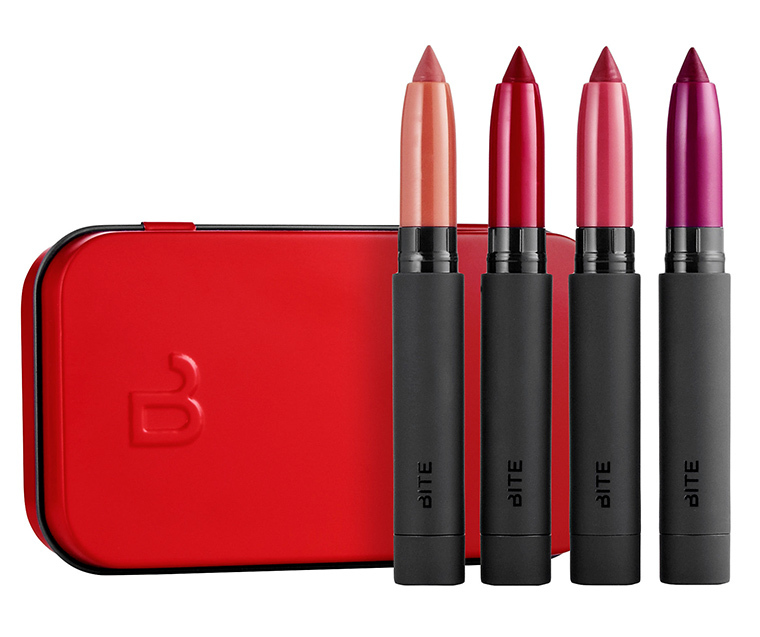 Bite Beauty Best Bite Rewind (4 x 0.31 oz.) retails for $25 USD ($29 CAD) and is said to be "a gift-ready set of four, deluxe-size Mini Matte Crème Lip Crayons in a purse-sized holiday tin." 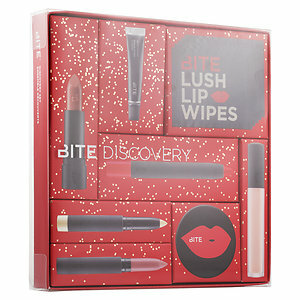 Bite Beauty Discovery Set retails for $55 USD ($59 CAD) and is said to be "a curated, eight-piece lip set with Bite Beauty's bestselling products in festive packaging." 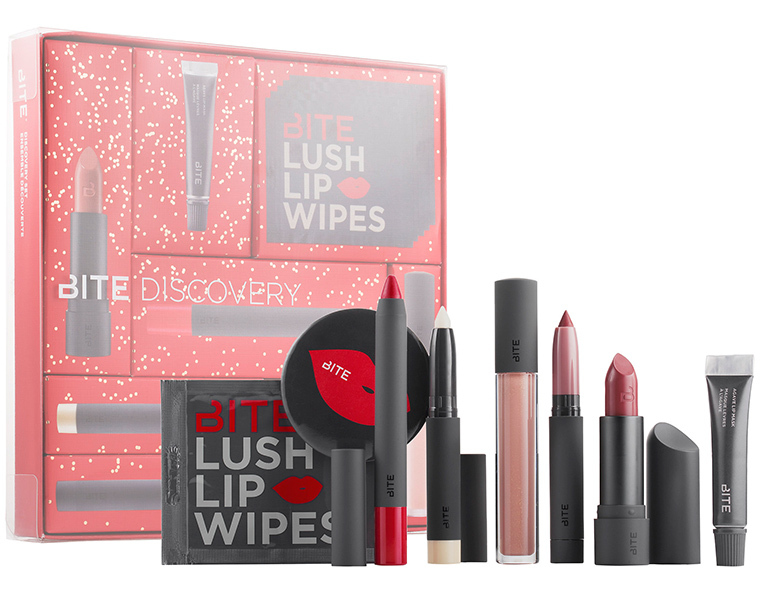 "Explore Bite Beauty’s collection of deluxe minis and full-size favorites. Carefully curated and crafted for the perfect mix of lip treatment, prep, and color, this set includes the Agave Lip Mask, which helps hydrate, soothe, and repair lips, to the vibrant red, High Pigment Pencil in Pomegranate. Ideal for giving as one gift, or break it up for charming mini stocking stuffers."